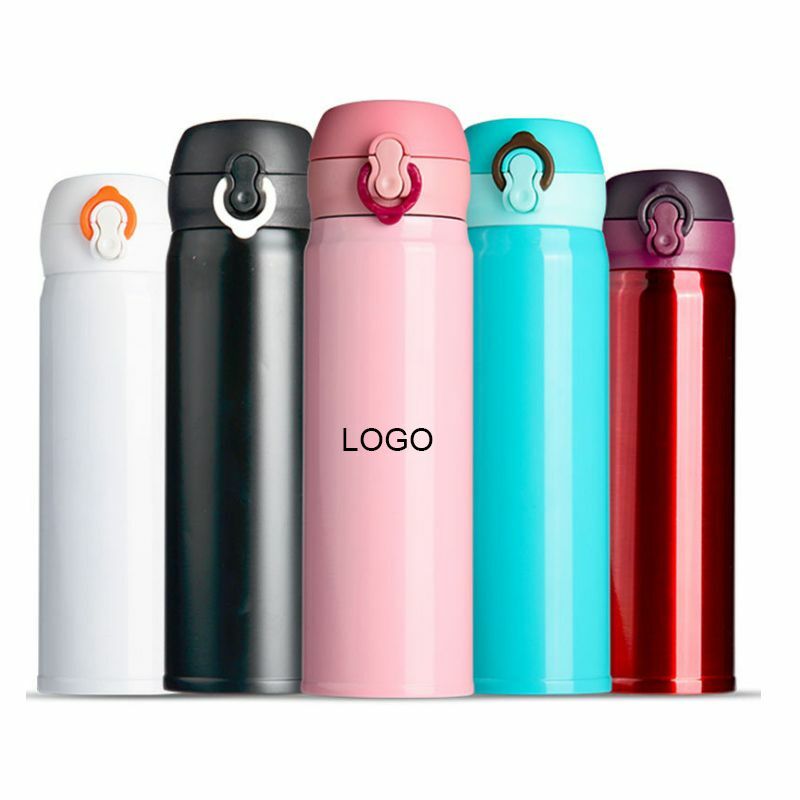 What better way to put your money where your mouth is than to add your logo to some stylish drinkware? We have six unique picks to inspire your next drinkware order! Cheers to your brand! This gift set is inspired by the popular Moscow Mule cocktail. 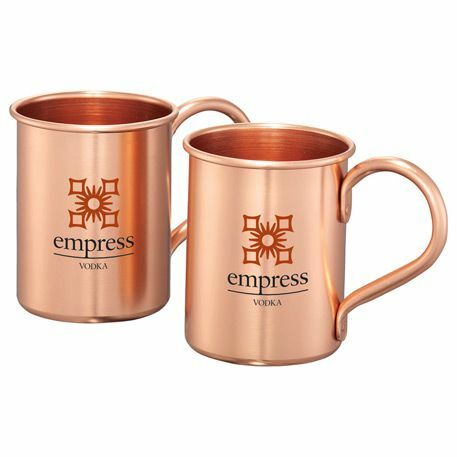 Add your logo to these lovely copper-colored mugs for a branding twist as refreshing as the cocktail itself. Mason jar mugs are what your next festive event needs! 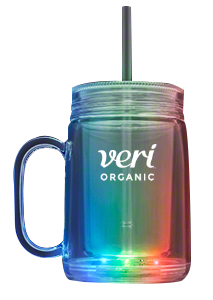 These mugs have all the nostalgic style of a traditional mason jar but with modern, illuminating LED lights so your brand will stand out in the crowd! Another great choice for events, this sleek wine goblet features a vacuum sealed lid to prevent spills and it can certainly be used for more than just wine. 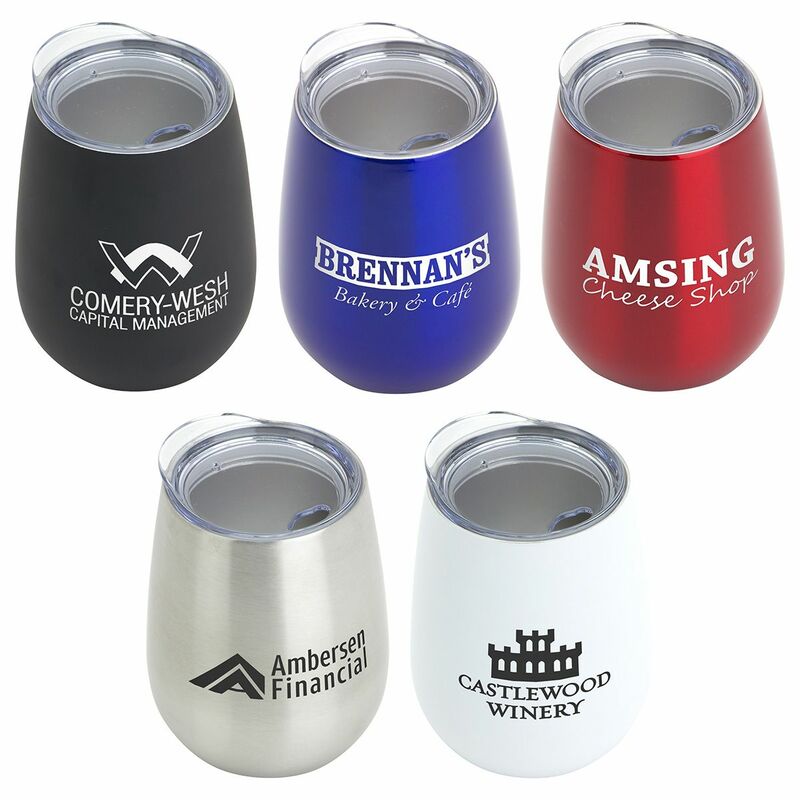 Add your logo to your clients’ new favorite cup that keeps drinks cold or hot for up to six hours! This stainless steel mug is a camping essential. Equipped with a handy carabiner handle, this mug is built for travelers and on-the-go lifestyles. It snaps onto a belt or backpack quickly and easily. 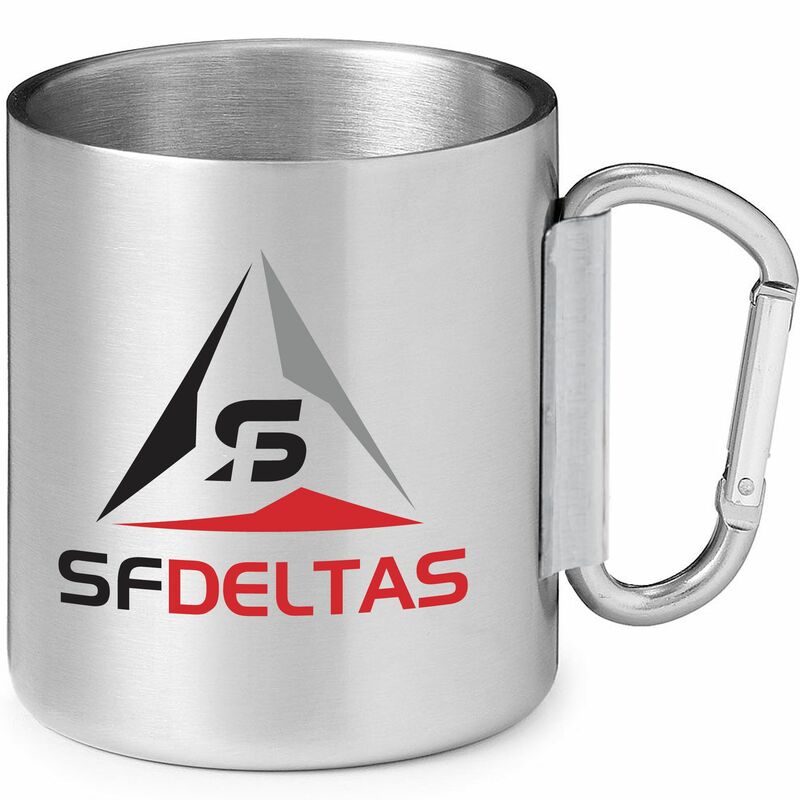 Add your logo loud and proud to this durable mug! This trendy water bottle does more than just hydrate, it packs a punch of flavor through the infuser that dips down into the bottle. Just add some fresh fruit to get a uniquely flavored beverage on the run. Add your logo to this versatile tumbler to go everywhere your clients go! Whether it’s to the office, on vacation, or to the gym, this go-to tumbler keeps liquids cold for up to 24 hours and hot for up to 12 hours. It’ll even keep carbonated drinks fizzy for hours. Keep the spark going in your marketing efforts this year with a high-quality tumbler that is sure to impress with its modern aesthetic. 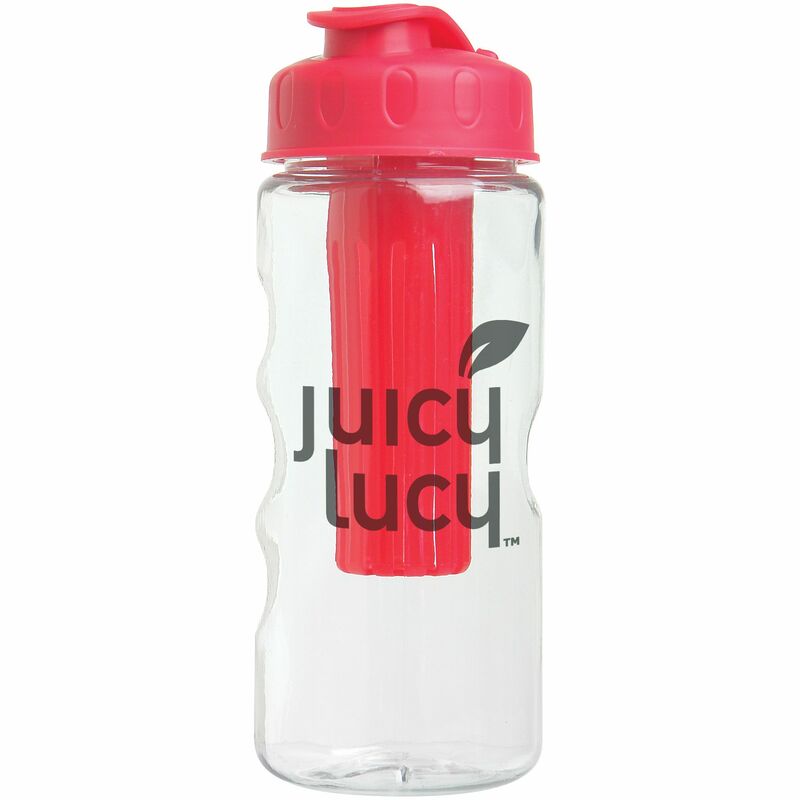 Drinkware is a fun way to promote your brand and give your audience items they would enjoy. Want more inspiration for your promotional marketing strategy? Reach out to us today!